Sharjah Art Foundation offers a range of opportunities to students and those seeking work experience. Sharjah Art Foundation offers a wide range of internship and volunteer positions where you can improve your skills or learn new ones. Working as an intern or volunteer at SAF can help you understand more about careers in the arts and the different types of work that are available. More information about current opportunities and how to apply is available below. Internships are offered year-round generally for periods of one – three months. Internships are open to anyone over the age of 18 who is interested in contemporary art and the work of SAF. As an intern you will have the opportunity to gain hands-on experience and meet or work with art professionals and artists. Past interns have included current university students, recent graduates as well as post-graduate and PHD candidates. SAF often works with local or international universities and community groups on placements for students enrolled in specific courses. Volunteer roles at SAF are part-time and generally short-term, and can range from supporting roles at events or projects to working with artists. Volunteers often help our visitors as guides or as information desk assistants. 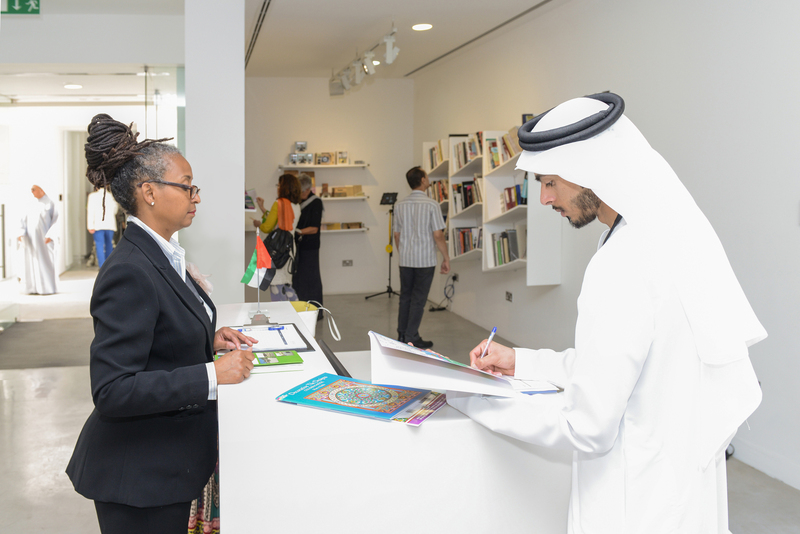 Recent volunteers include high school students, members of the local community as well as individuals from across the UAE who are interested in contemporary art and would like to support our programmes. The experience you gain will help support you in future artistic and professional pursuits. You will receive a certificate at the end of your service, testifying to your contribution to and experience with the Foundation. In return, we will require your commitment, dynamism and interest during your time with us. To apply to be an intern or volunteer please send a completed application form, which you can download via the link below, an up to date resume/CV and contact details of a professor or supervisor who will provide a reference for you. All applications will be considered. Successful interns and volunteers will be assigned a position that best suits their interests and skills. Once selected, interns and volunteers will undertake an orientation session and receive any necessary training.